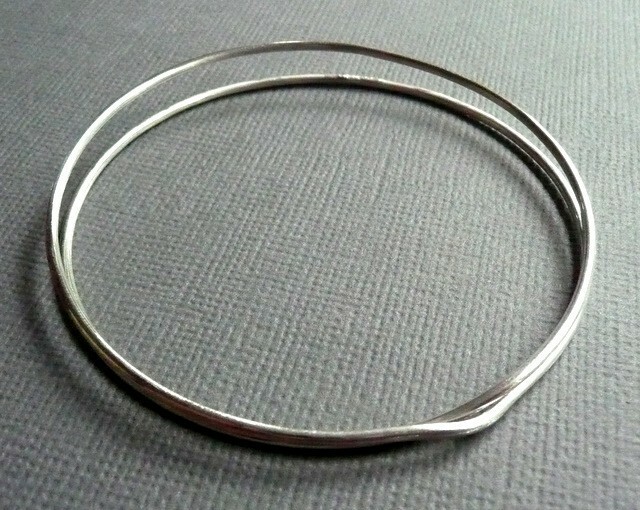 A continuous loop of sterling silver comes together to make the Infinity Bangle. 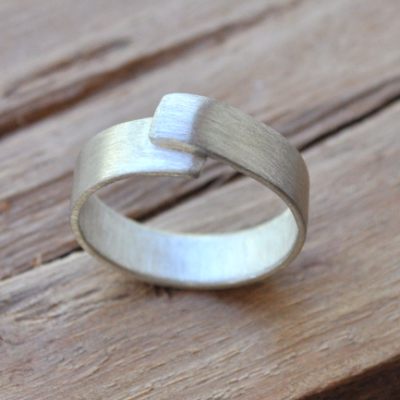 Just like its sister, the infinity ring, this is a classic, understated piece that will never go out of style. 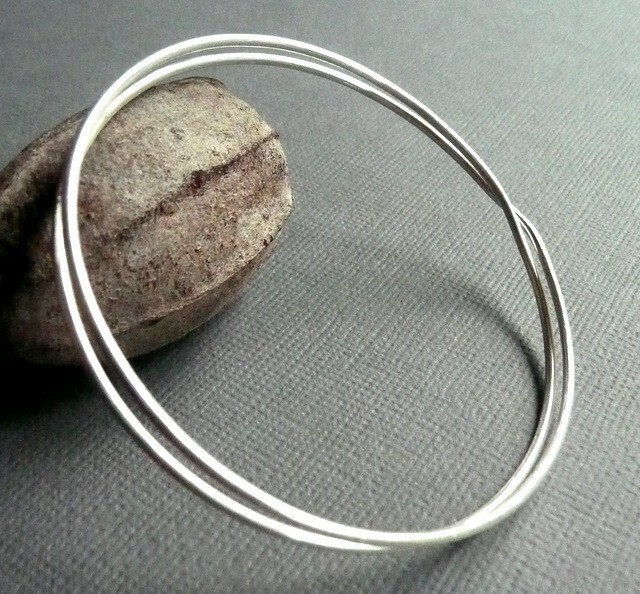 Made from recycled sterling silver, the Infinity Bangle is handforged and has a matte finish. 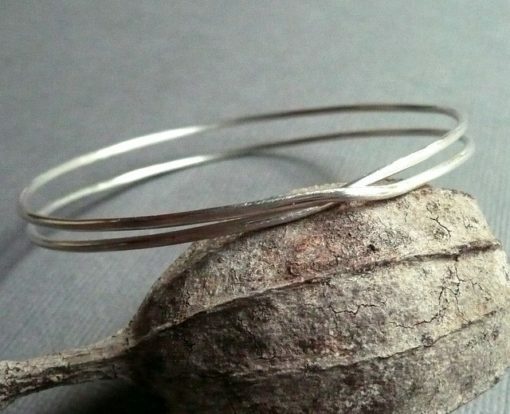 Please choose your size below, and leave it in the ‘order notes’ on checkout. 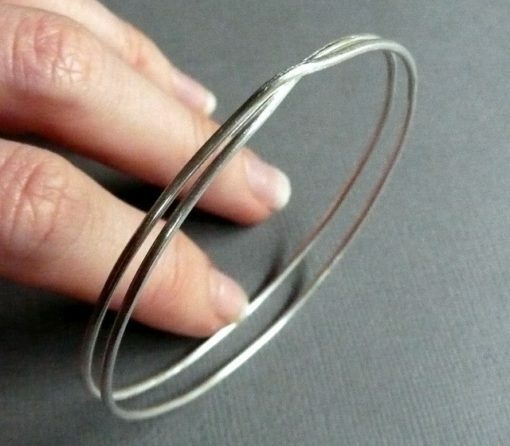 Also note you are getting a new bangle – not the exact one shown. 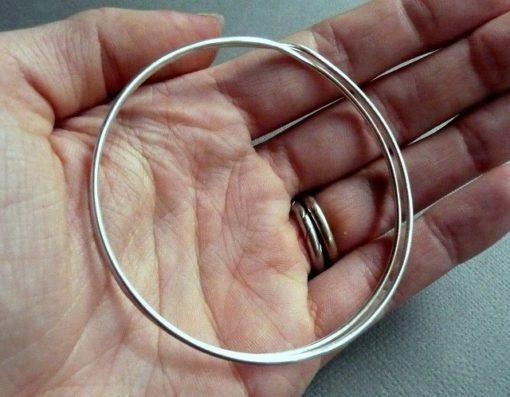 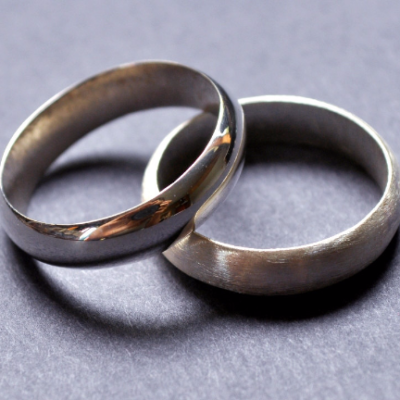 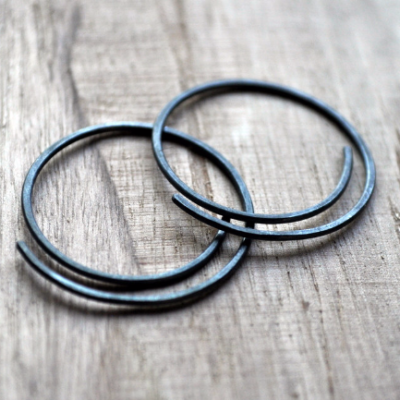 Your bangle will look almost identical, but there may be very slight variations due to the nature of handmade.